In April 2012, the JOBS Act authorized the SEC to promulgate regulations that enable businesses to raise capital from the public without going through extensive and costly registration. Variations on this crowdfunding theme have been clarified since then (as discussed later). 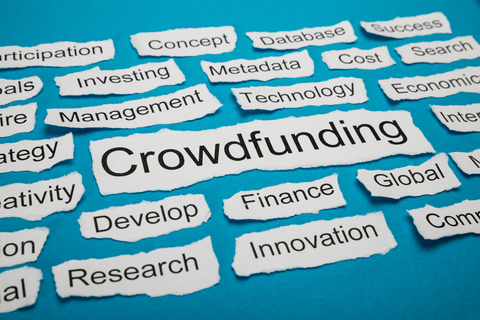 On October 30, 2015, the SEC published the final rule for crowdfunding. Understand what the regulations allow small businesses to do and then decide whether this funding option makes sense if you need capital now. Under the final rule, businesses can seek up to $1 million in a 12-month period from non-accredited investors without requesting SEC permission (accredited investors can also participate here). The $1 million limit is the gross amount that can be raised; after paying the expenses of crowdfunding the company nets less. The funding can be debt (loans) or equity (investments) funding. Who is a non-accredited investor? Non-accredited investor under the final rule is someone with annual income or net worth below $100,000. An accredited investor is someone with annual income or net worth of $100,000 or more. How much can an accredited investor lend or invest? Such individuals can invest 10% of the lesser of income or net worth. The maximum amount is capped at $100,000 for all crowdfunding offerings. How much can a non-accredited investor lend or invest? The limit is the greater of $2,000, or 5% of the lesser of annual income or net worth. Again, the maximum amount is capped at $100,000 for all crowdfunding offerings. Businesses cannot raise this capital on their own; they must use a funding portal (a website) that’s obtained SEC and FINRA approval. These portals must include educational materials; investors must indicate that they have actually read the materials and that they understood them. Companies using this final rule must disclose their financial condition. They also have to provide financial statements. Depending on the amount offered, the statements must be reviewed by a CPA or audited. Those offering more than $500,000 but not more than $1 million would be permitted to provide reviewed, rather than audited, financial statements, unless financial statements are available that have been audited by an independent auditor. Angel investors, which have their own rules in conformity with SEC requirements. Family and friends may be a ready source of capital, but there are still rules to follow. These private placements fall under the SEC’s Regulation D (private placement memorandum). Find a good overview here. Larger crowdfunding. These fall under Regulation A for up to $20 million in a 12-month period in a Tier 1 offering or up to $50 million in a 12-month period in a Tier 2 offering. Regulation A went into effect in June 2015. Small businesses seeking capital have a lot of alternatives. The new Final Rule from the SEC is yet another option to consider. Apprenticeships: Can They Work for Your Business?